Photo was taken from Victoria Peak in Hong Kong. If you ever visit, this place is a MUST on your 'To Do' list! I was just scrolling through and stopped at this photo thinking "is that melbourne? Look familiar." The first thought was clearly just my bad instincts, but the latter was is true - I went to the peak when I was in hongkong just last summer - or winter in the case of where I was. I remember I was feeling a down at the time, because it was the end of a three week holiday in china, and the grey-ness of the cities was really getting to me. 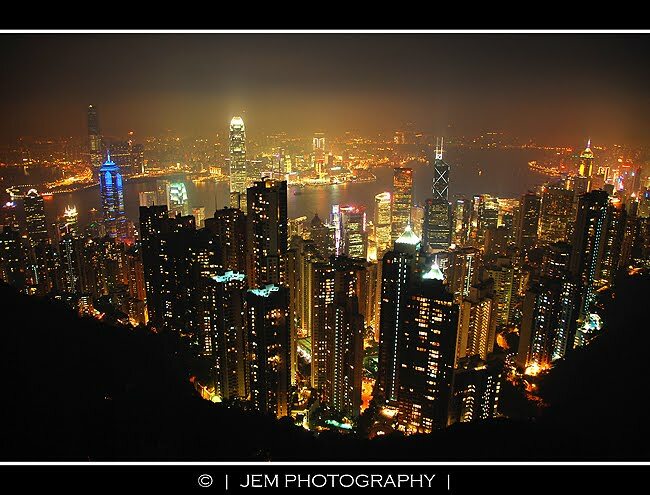 But there was something really beautiful about hongkong at night. All the grey is gone, and there's just this beautiful light that seems to be begging you listen to the stories of all the people that are living their lives at the moment - at least that's what I feel when I look at this photo. There's something suffocating about cities, but there's also something profoundly beautiful if you take the time to look for the beauty. And I guess that's what photography offers us, to really stop and look at something we would otherwise glance past. all the best with your photography, you have a good eye for beauty.